Stunning custom kitchen by BKC of Westfield. 2 full baths completely remodeled. Fabulous finished basement offers additional living space. Great fenced in yard with deck. 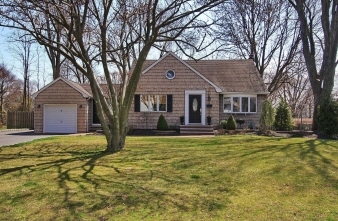 Vinyl siding, professionally landscaped with front lighting, paver brick walkway.